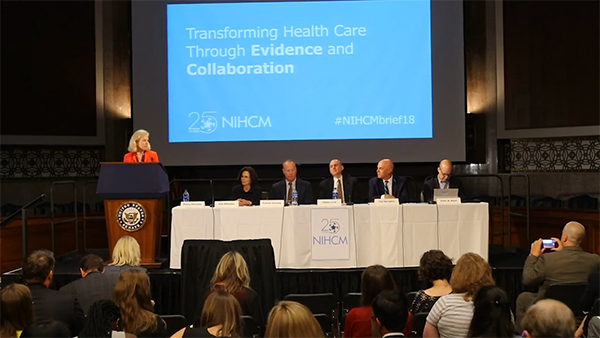 Established in 1993, The National Institute for Health Care Management Foundation is a nonprofit, nonpartisan organization dedicated to improving Americans’ health by developing creative solutions to health care issues. Original 2 Pocket Presentation Folder, printed with four-color process on side 1 of 120lb C2S White Gloss stock, coated with Aqueous Gloss. H2 business card slits on the right pocket. 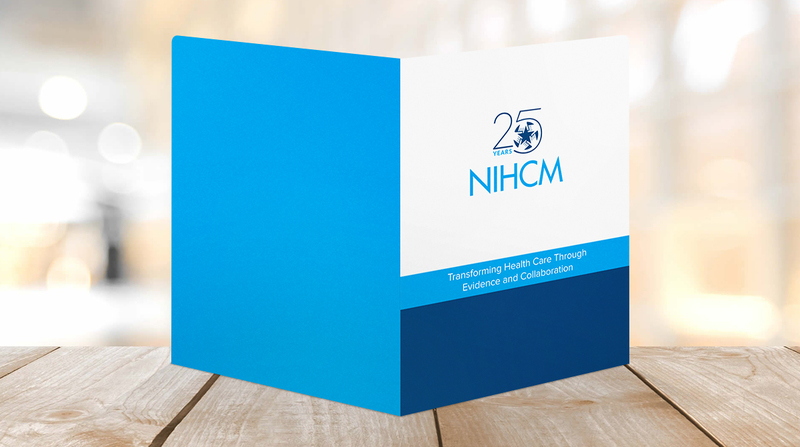 Kirsten Wade, Administrative Assistant at the National Institute for Health Care Management Foundation, needed to reorder presentation folders for its annual Capitol Hill Briefing event. The event features industry leaders discussing trends and answering questions about the future of health care. Having ordered from Company Folders twice before, Wade was confident she would receive a great product when she purchased again. This time, she needed folders for the National Institute for Health Care Management Foundation’s annual Capitol Hill Briefing event. She placed her order a month ahead of the event to give herself and staff plenty of time to stuff the folders with their event materials after delivery. Wade chose a 120lb C2S White Gloss stock because she said she liked how it felt. “It was a little heavier, so we knew it would hold our information, and we liked the gloss on it as opposed to a matte finish,” she said. For the Capitol Hill Briefing event, each folder needed to hold a series of documents with information about each of the speakers. To ensure all of this information would fit, Wade said they tested the sample folder by putting material from the previous briefing inside. When the artwork was sent, only a slight change was needed to highlight the foundation’s celebration of its 25th anniversary. “I had sent over my own amateur design file with our ideas, and the design team was able to touch it up so that it worked for our folders,” Wade said. She said she was happy with the product she received. Wade said she plans to continue to work with Company Folders and tell others, too. Interested in creating your own custom folder? 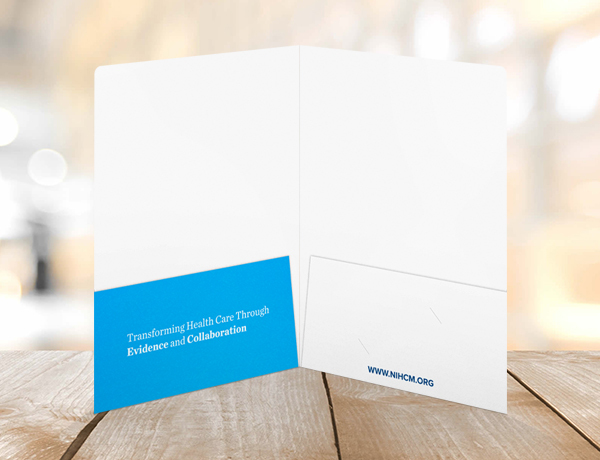 Learn more about our presentation folder printing.